Our Ladies Purse is the result of a design process focused on bringing functionality and timeless luxury together. By handcrafting the purse from soft genuine bovine leather,our Ladies Purse is the epitome of world-class craftsmanship and elegance. 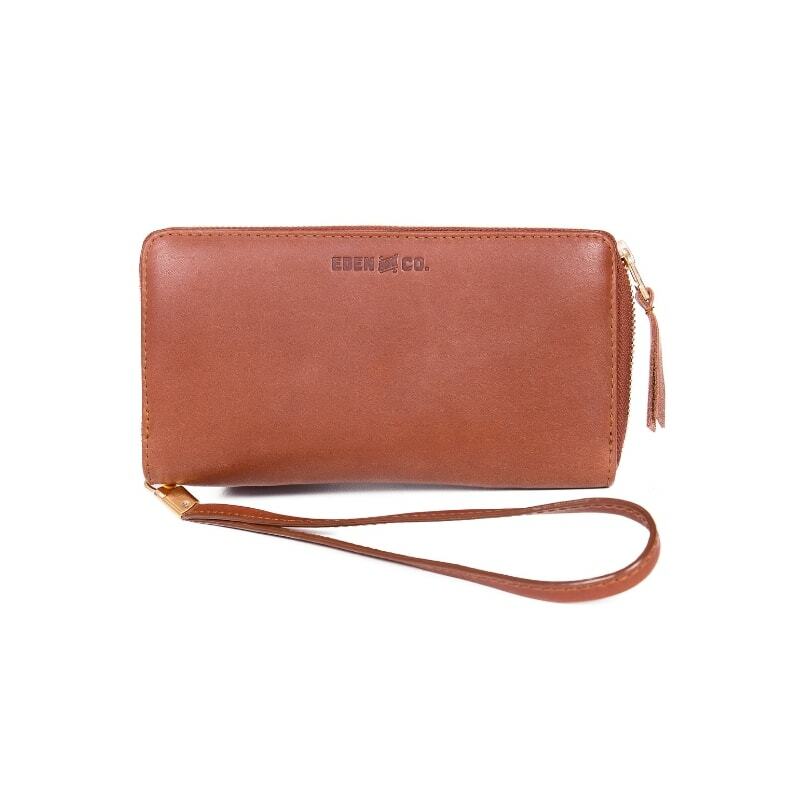 In addition to the functional and elegant design, quality remains a key focus of this purse. Both zippers are "YKK" metal zippers, and therefore guarantee durability and quality. Furthermore, there are 15 different credit card slots, a transparent window for an ID card or photo, and a zipper coin pouch. 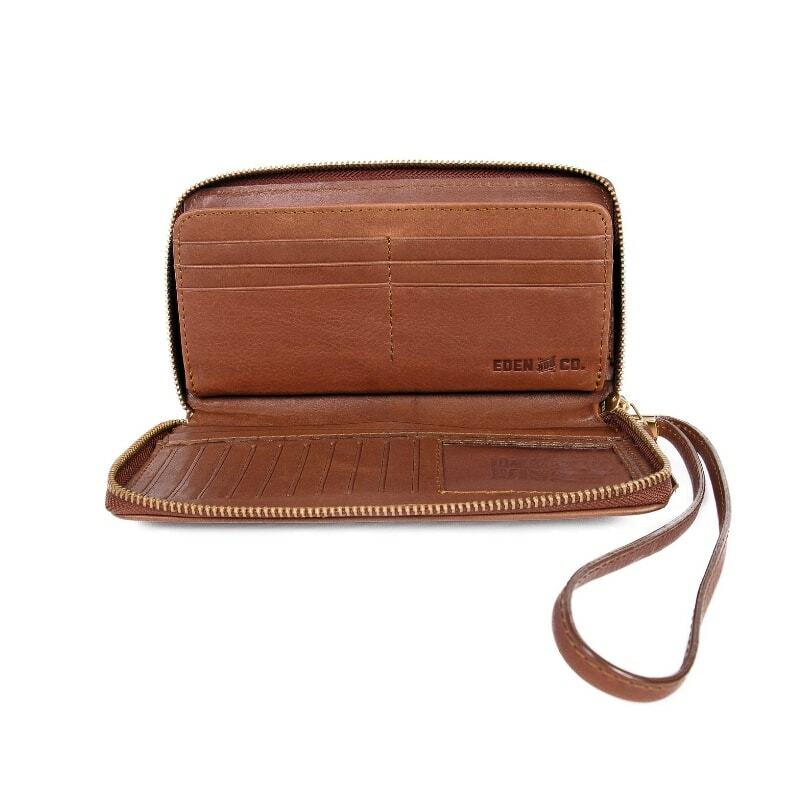 The purse also has three additional compartments for cash or slips. Detachable wrist strap with imported italian clip. YKK Golden Brass metal zippers. 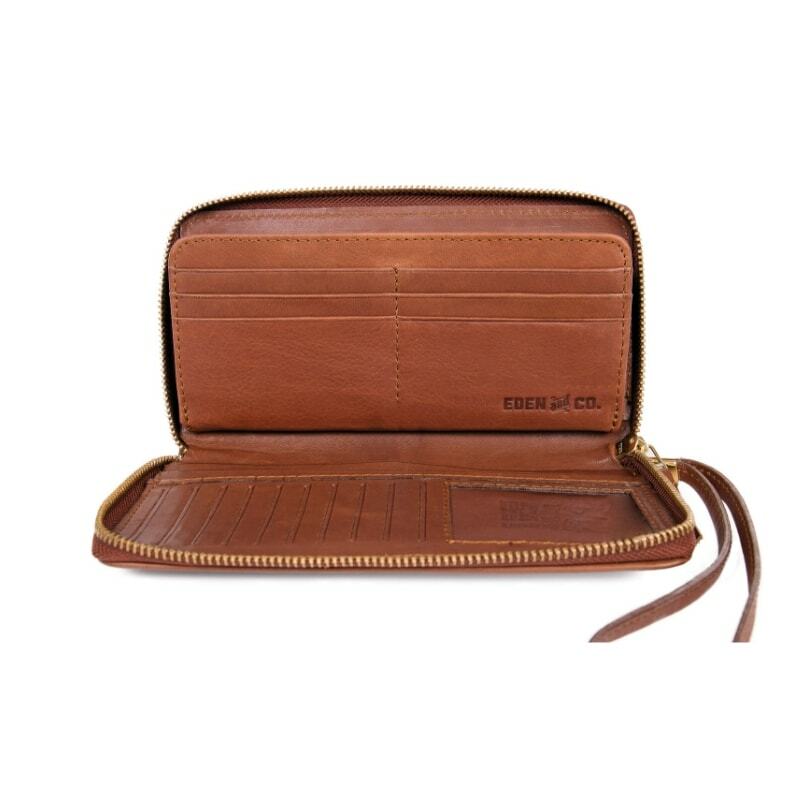 Three compartments for notes/bills or slips. Dedicated coin pouch with YKK Golden Brass metal zipper. Transparent window for ID photo. 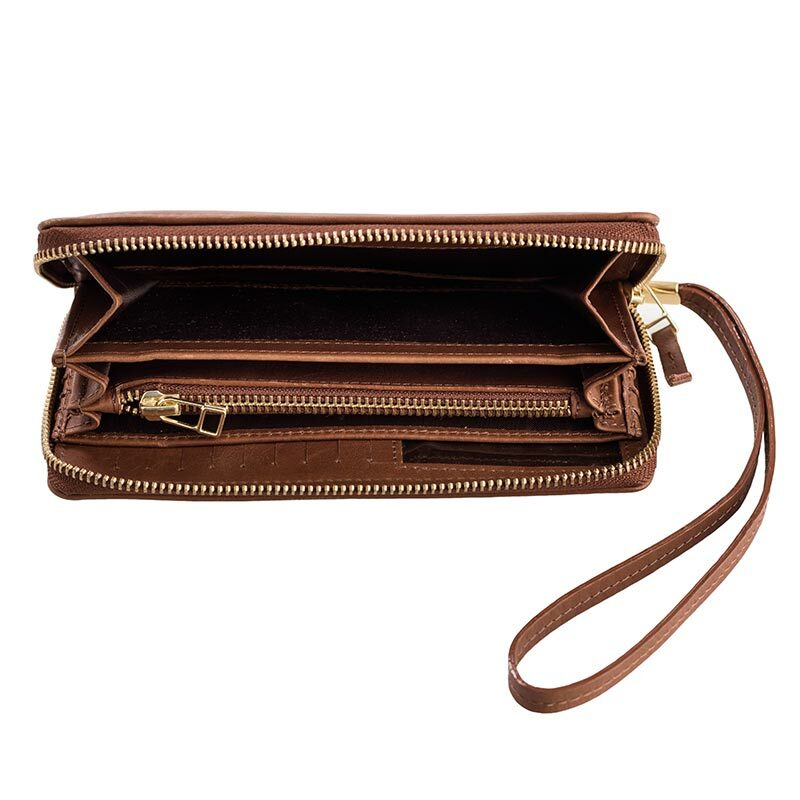 Dimensions of an empty purse: 20 x 11 x 2 (cm). Our Ladies Purse is the result of a design process focused on bringing functionality and timeless luxury together. By handcrafting the purse from soft genuine bovine leather,our Ladies Purse is the epitome of world-class craftsmanship and elegance. In addition to the functional and elegant design, quality remains a key focus of this purse. Both zippers are “YKK” metal zippers, and therefore guarantee durability and quality. 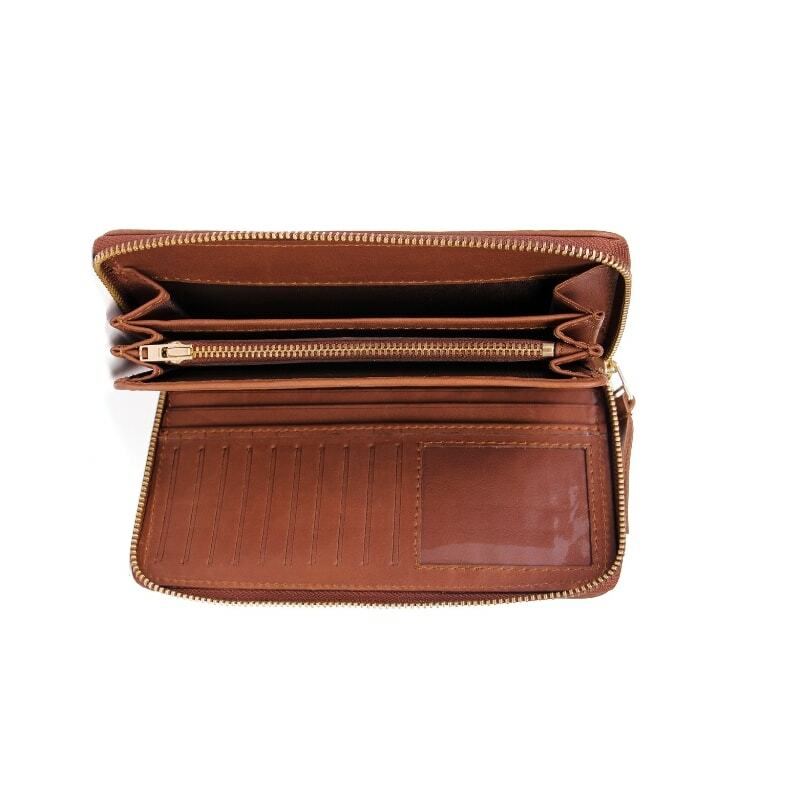 Furthermore, there are 15 different credit card slots, a transparent window for an ID card or photo, and a zipper coin pouch. 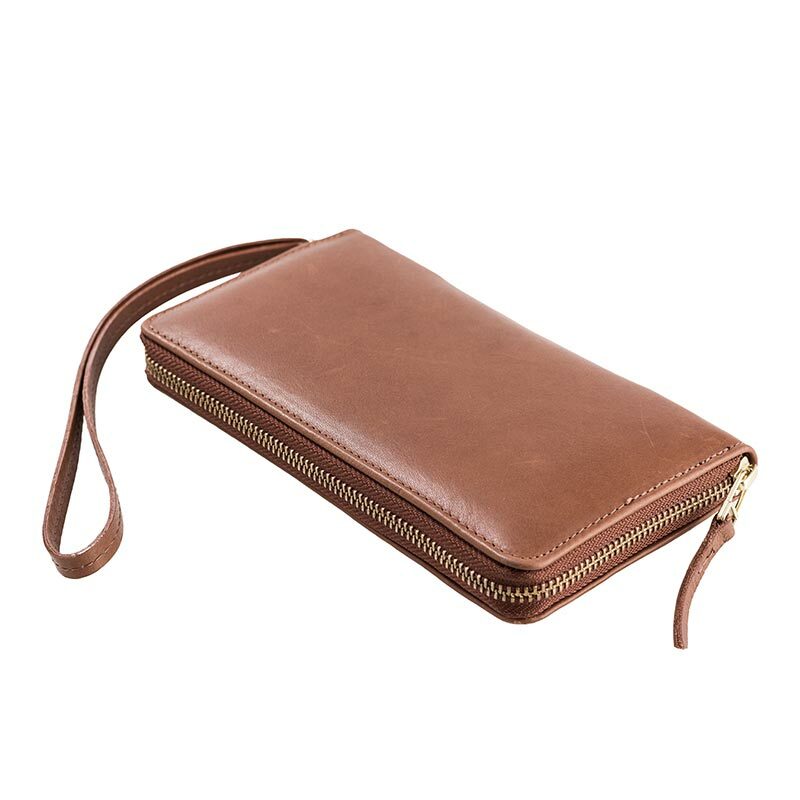 The purse also has three additional compartments for cash or slips.